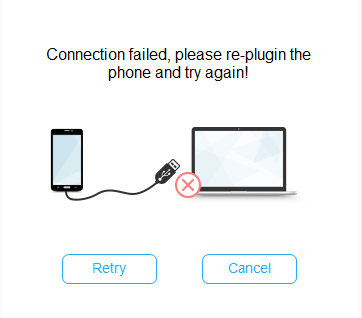 Many Android users want to know how to solve the problem: Android phone cannot connect to ApowerMirror via USB. 1. Make sure you have turned on USB debugging. Note 1: Xiaomi users need to notice that MIUI system adds a restriction. In the “Developer options”, there is a “Security settings”. You need to enable it to get permission. 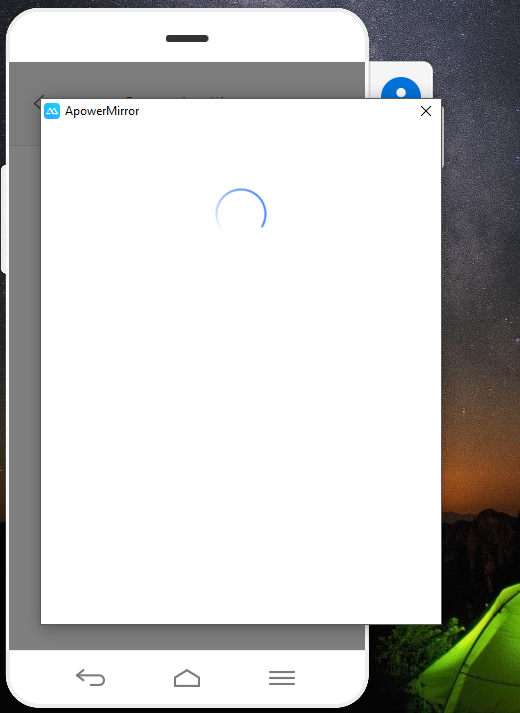 Besides, please check whether you have enabled ApowerMirror in “Accessibility”. 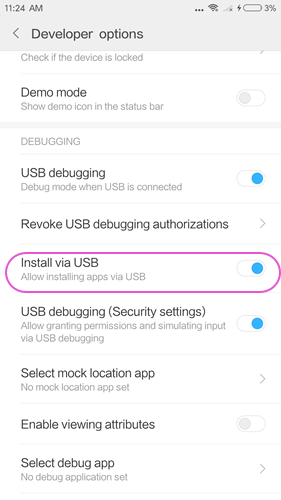 Note 2: Enable “Install via USB” if you haven’t installed ApowerMirror app on your Android. 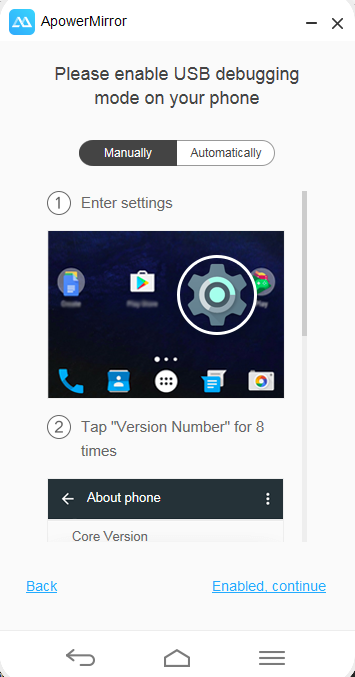 For some mobile phones, if there are some similar settings, you can also check and enable it. 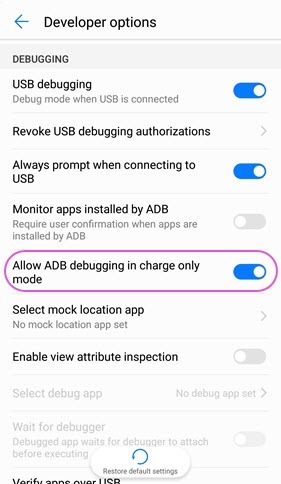 Note 3: For Huawei phones, you need to go to “Developer options” and enable “Allow ADB debugging in charge only mode” so that the phone can be detected by the computer. 2. 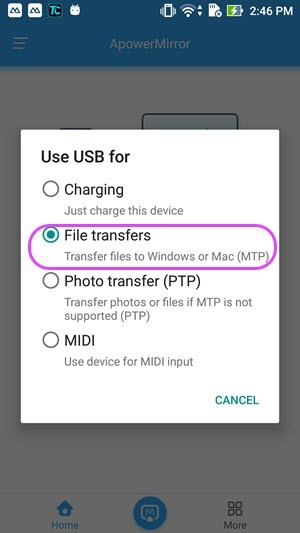 Swipe down from the top of the screen and choose MTP mode on your phone. 3. After connect the phone to PC via USB cable. 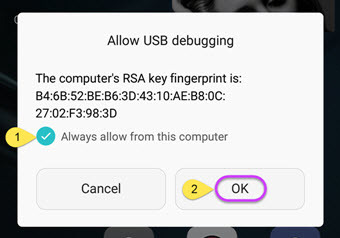 If windows appear asking to allow USB debugging on your phone, choose “Always allow from this computer” and tap “OK”. Open the app on your phone. A notification will pop up. Tap “START NOW”. 4. Try another USB cable or USB port. 5. Check if the Android driver is successfully installed. We recommend this free driver detector: https://www.drivethelife.com/. You can download and install it on your PC. After launching, click “Scan”. Please connect your phone to PC via USB cable while scanning. 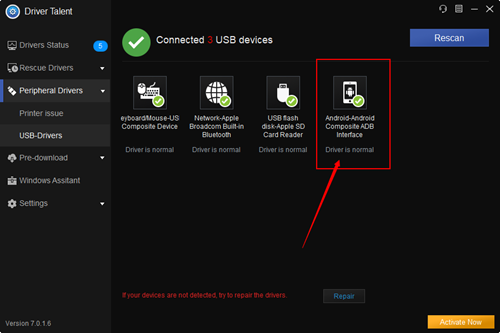 Then click “Peripheral Drivers” > “USB-Drivers”, check if the Android driver is normal. If it is not, click on “Repair”. 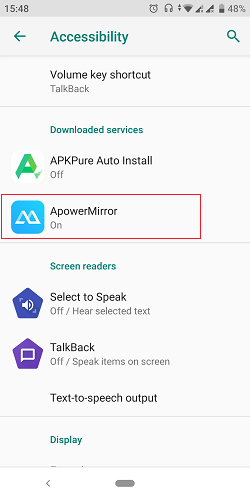 After the proper driver is installed, please connect your phone to ApowerMirror and try again. 6. 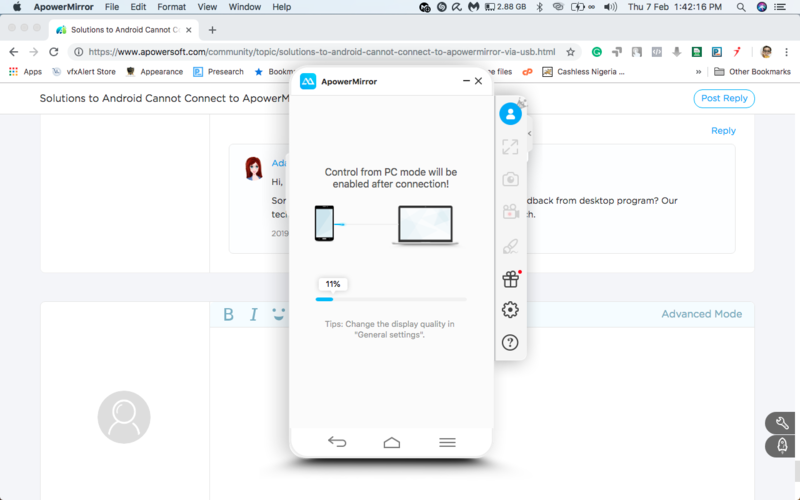 Restart the ApowerMirror desktop program and Android app. feedback along with log file from the desktop program. Sorry for the problem. 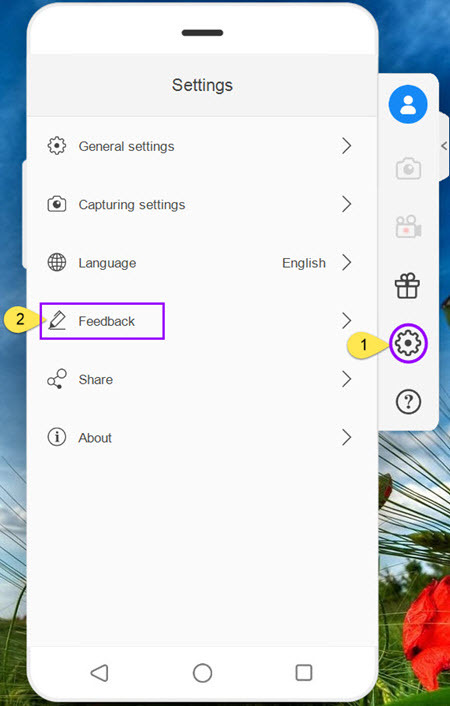 Please refer to this detailed guide on how to solve login issue: https://www.apowersoft.com/community/topic/fix-login-issues.html. Thank you! If it doesn't help, please let us know. Thank you! Sorry for the inconvenience. 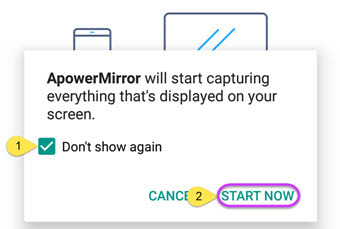 Could you please visit the official website to update ApowerMirror to the latest version and try again? Thank you. 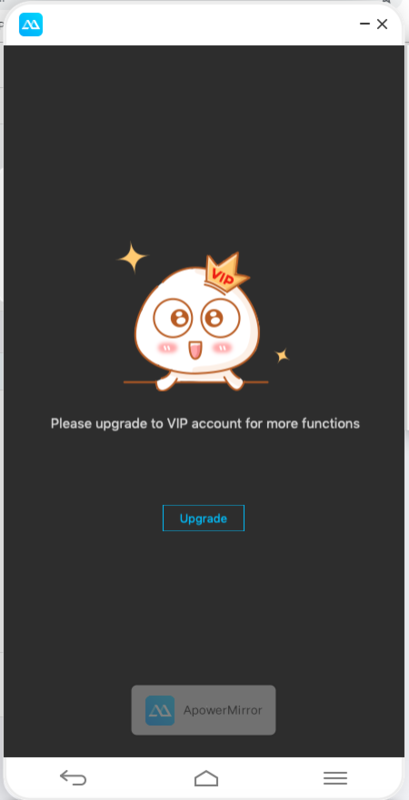 After you purchase the VIP, the message will be removed. Thank you vry much. I have similar issue as many others. 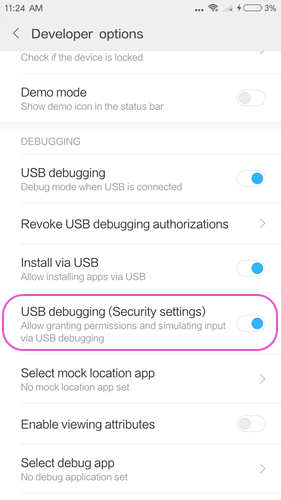 USB debugging is enabled on my phone, I can connect via WiFi but once I try to control Phone via PC I get stuck with message to connect via USB cable and there it’s not moving from “enable USB debugging”. This is ridiculous. Why if it’s working via WiFi I get stuck on connecting via cable? Sorry for the inconvenience. Could you please tell me the brand of your phone? Thank you. 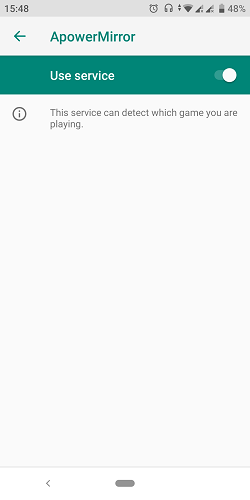 my app starts loading the reverts back to the “select the device and start connecting” when it reaches 20%. pls, how do i fix this? Kann ich mein galaxy j7 mit windows 7 verbinden? Please contact support@apowersoft.com. Thank you. Hi, Sorry for the inconvenience. Could you please send the feedback from desktop program? Our technician will check the issue for you. Thank you very much. I Cant Connect, Help me please.